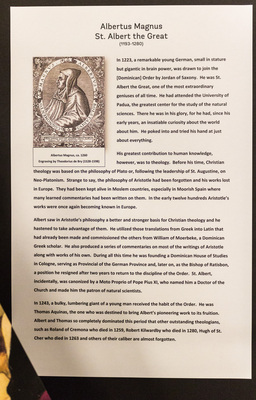 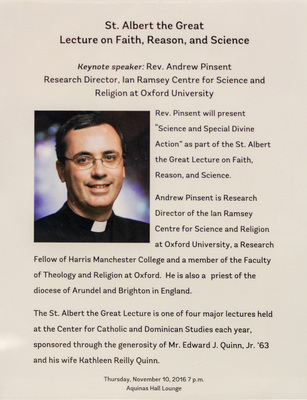 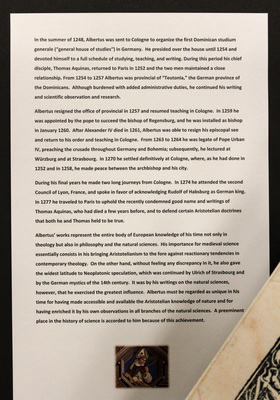 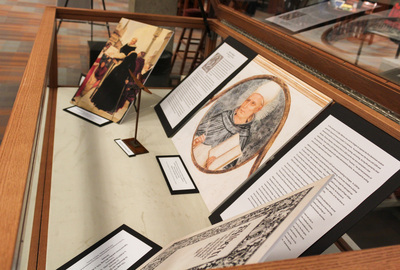 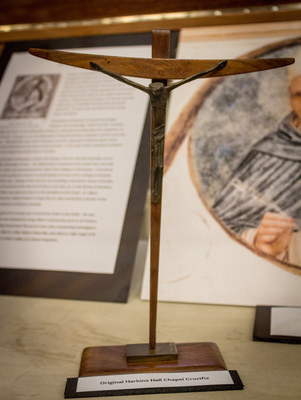 The Phillips Memorial Library, Special and Archival Collections presented an exhibit in honor of a lecture in Providence College's Aquinas Hall on November 10, 2016. 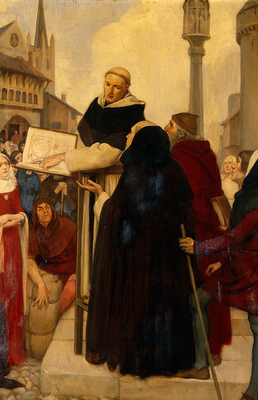 The exhibit included the reproduction paintings, St. Albert preaching in the streets of Paris by Ernest Board (ca. 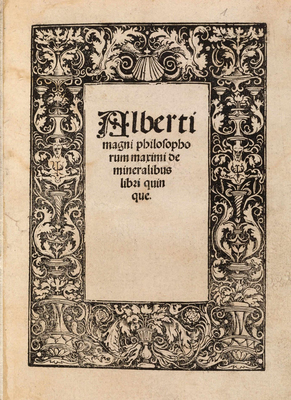 1245), a bust of St. Albert sculpted by Vincenzo Onofri (Ca. 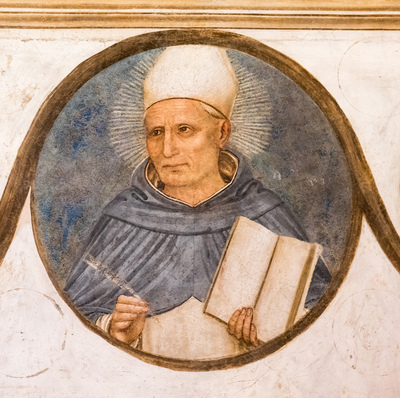 1493), and a detail of the tondo portrait of St. Albert for the painting Crucifixion attributed to Benozzo Gozzoli (1421-1497).